Smartphone cameras have become so good that most people do not bother carrying around even better gear. As manufacturers compete to see who can eliminate the notch design best, many are turning to small hole punches in the display to fit cameras in without creating a notch. Samsung Electronics has debuted an extra small image sensor created with the intention of fitting underneath their Infinity-O display cutouts. The Isocell Slim 3T2 is a 0.8μm-pixel sensor that produces 20MP photos. Physically, the sensor is slightly over one-third of an inch on the diagonal, or rather 5.1mm. It is also able to be used as part of a rear facing camera setup. 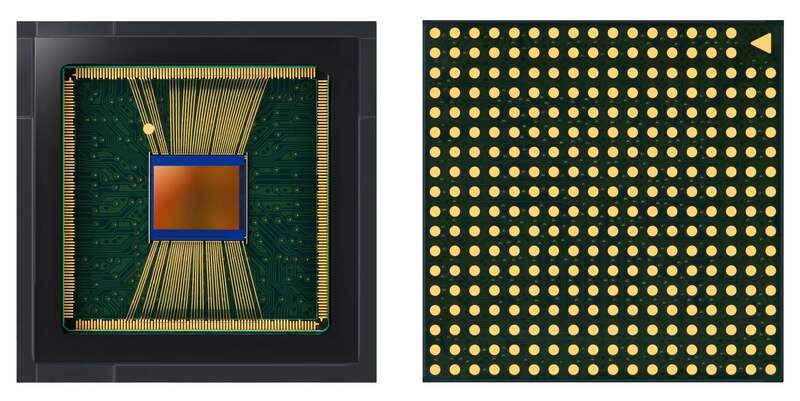 Similar to other sensors developed by Samsung, the Slim 3T2 has Tetracell pixel merging, allowing a 5MP image with 1.6μm pixels for improved light capture capabilities. When setup for use as a rear camera, typically intended for telephoto abilities, the sensor ditches Tetracell and instead implements an RGB color filter. This addition of new hardware options ensures that the trend of holes in front displays is here to stay. Expect to see a large number of smartphones released throughout the year showcasing the new displays with holes in them instead of more traditional notches. Apple is the only major smartphone maker that will likely be an exception to the trend this year by retaining a notch style already familiar with its user base. Mass production of the Isocell Slim 3T2 imaging sensor will begin during the first quarter this year. The first smartphones making use of the new sensor could arrive as early as the second quarter. Increasing the MP count of the sensor, "in real terms" does not much for the quality. "Physically, the sensor is slightly over one-third of an inch on the diagonal, or rather 5.1mm" oh come one - how are we meant to interpret that!